Prestige Jindal City is a new residential Apartment project in Tumkur Road, Bangalore. Find Prestige Jindal City Price | Reviews | Offers. The residential enclave, Prestige Jindal City features the very best in Prestige Group luxury segment. The project offers spacious Apartments with luxurious features. Beautiful landscapes all around Prestige Jindal City makes it more special & Elite. The builder is guaranteed to bring a quality living experience to the community of Tumkur Road with brilliant architecture and equivalent lifestyle in Prestige Jindal City. Prestige Jindal City Location has excellent connectivity & it is located at the heart of Tumkur Road. Amenities at Prestige Jindal City include a fully equipped clubhouse, landscaped gardens, gymnasium, swimming pool, recreation rooms, outdoor sports courts, children’s play area, party hall, and meticulously planned with utmost importance to state-of-the-art 24/7 securities. Renowned R.S.P Architects are the key designers for the Prestige Jindal City project. Great location advantage on Tumkur Main Road and very close to atleast 5 reputed schools, Metro station right beside the project. The brand name of Prestige is a huge boost & Project is equally good for self-use/ Investment. Civic amenities are available but not as developed as in and around the CBD area. The Prestige Group owes its origin to Mr. Razack Sattar, who envisioned a success story waiting to take shape in the retail business in 1956 itself. Prestige Estates and Properties was set up in 1986 growing swiftly to become the leading property developers in Bangalore. Prestige Court on K.H. Road in Bangalore set the pace and with over 190 developments covering 38.5 million sq ft of develop-able area to its credit, Prestige constructions now house a very large populace residing in South India. Also, Prestige hosts some of the biggest MNCs in business here with residential, commercial, retail and hospitality developments on the cards approximating 61.4 million sq. ft. just in area. A presence in the retail sector with multiplexes and malls, Prestige has built for itself a name in property development. Explore other Prestige Group Projects like Prestige Fountain Bleau, Prestige Dolce Vita, Prestige Jindal City, & Prestige Falcon City. Water seems to be very hard in that locatility. 1. Will there be water softeneing plant in the project? Yes, there will be water softeners in the project & Cauvery lines are available till the project. 2. Cauvery water connection is available? Between Prestige Jindal City and Prestige Falcon City, which is better from a ROI perspective? Prestige Falcon City would be an ideal choice. 1) Does this project has Cauvery Water connection ? If it is planned after completion of the project, does the BWSSB charges include Cauvery connection charges as well or it will be extra ? 2) I can see a water path at right in front of the project, Is there any plans to make it drainage/Raja kaluve, any idea what BDA/BBMP plan shows? Currently project doesn’t have cauvery connection. But, adjacent layout has cauvery connection; so, hopefully in future project might get it & Yes there is nala in front of the project. But, need not to worry – as project is planned & getting developed as per NGT norms – besides, residential towers are in the back & Commercial Development are in front of the project & as far as i know, Current price is for tower 2 of building 1 is Rs.4800/ Sqft & for detailed cost break up & offers please talk to my colleague Mr.Ravi @ 9590144144. Which is better for rental income? A 2 bhk in prestige park square(1130) or a 3 bhk in jindal city(1373)? Costwise both are coming to approx the same price. Also Tumkur road is not as developed w.r.t IT etc. Wont giving for rent, especially with 3600 units in jindalcity alone, become difficult? If you are considering the investment point of view for rental, then we would recommend Prestige Park Square would do better. Thanks Harish. What is the rent for 3 bhk at today’s rate that you see for jindalcity? And would it be difficult renting it out as there are 3700 apts. We have just enquired about the 2BHK and the base price for 14th floor is Rs. 5350 (including car park). A 1081sq ft home will cost about 69.2 L (excluding registration and stamp duty). Do you believe the property will still be a good investment (in terms of rental income/resale value) at this price? Yes, the property will still be a good investment reason it has good demand in the market and once the metro terminal comes to this project, a good value of appreciation can be expected. Is your all inclusive price updated as of Jul 2018? What are the floor rise charges? Which one would you recommend between Embassy Springs and Prestige Jindal City for investment/rental purpose? As per our view, Prestige Jindal City would provide you quick rental income when compared to Embassy Springs because of its location, infrastructure development, and connectivity. No doubt Embassy would be good but it is for longterm investment may be more than 5 years., but by the time even PJC would have given a decent appreciation level. Harish- Thank you for your valuable input. Which one would you recommend between Prestige Jindal City (tumkur Road) or Rohan Upavan (Hennur Road) ? which location would you prefer ? 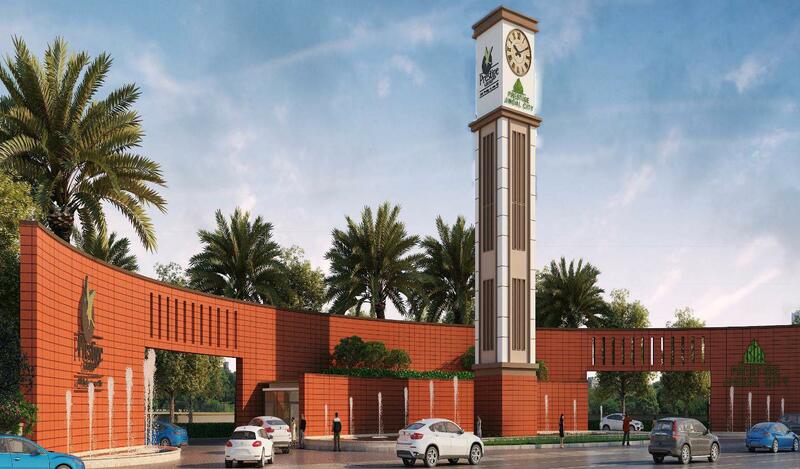 However, because of the direct metro connectivity and prestige brand, Jindal city would be the first priority. Thanks for your valuable advice. very good website to know the each and every details of project. Which one would you recommend between Provident Park Square and Prestige Jindal City for investment/rental purpose? Both are equally good & yield same ROI. Prestige has Brand advantage when compared with Provident. Based on the connectivity and brand, Prestige Jindal city makes wise decision to invest and yet the location of both the projects differs much, but one needs to go as per their convenience. Could you please help me to understand …. 1. if the pricing (4600/sqft pre-launch offer) is fair or little higher? 2. what is the appreciation you foresee for this project? 3. how much rents we can expect? 4. I should book apartment at project starting point or at ready to move stage? 4. It is better to book at the initial stage due to its price advantage and chances of getting good availability of units as per your choice. great project from Prestige Group.